Who doesn’t love fresh roasted coffee?!? It works like a cookie sale– Your student will receive order forms November 1, to take home, gather orders, turn forms back approx. 2 weeks later, coffee is roasted per order, returned to school the following Monday for your child to deliver. We will offer this in December for holiday gifts. And then again in January, February, March, and April. We roast after your order is received, in small, handcrafted batches. It is packaged in 12 oz sealed bags with the NHE Rattlesnake logo with a one-way degassing valve and re-sealable tape to keep closed after opening. 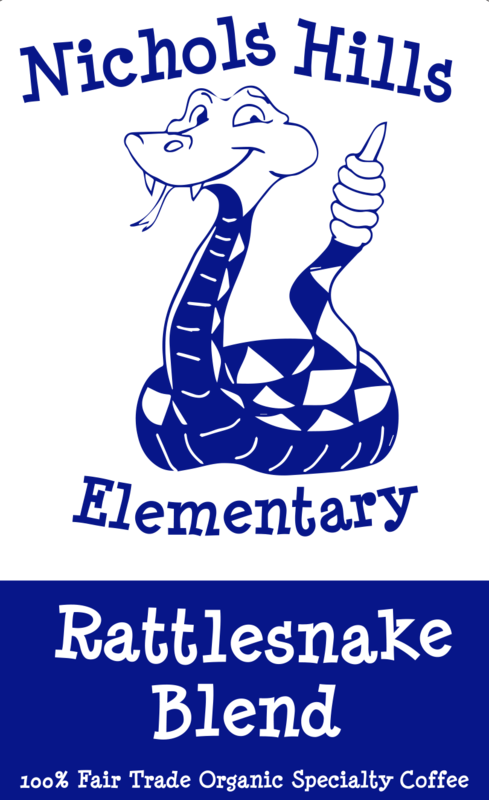 The Rattlesnake Blend is fair trade & organic, blend of South American coffee beans. It is medium roasted, very smooth, low acidity, delicious coffee. We will have it in “Swiss Water Processed” Decaffeinated too! You can buy coffee: Regular or Decaf ; Whole Bean or Ground. For a pdf version of more information, click here. Contact us today for questions about this fundraiser or the potential to host your own Leap Coffee Roasters fundraiser!